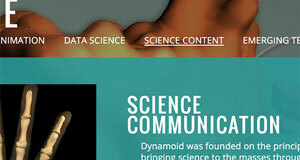 data visualization and mobile-friendly, responsive websites. Explore some of my recent projects, from lovingly designed and hand-coded websites to complex network visualizations. 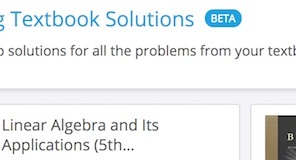 The last feature for StudyBlue before being acquired by Chegg: Step-by-step Textbook Solutions. I was the sole front-end developer on this feature, from planning to execution. This is only viewable while logged-in to a free account. This D3-based chord diagram illustrates the relationships between colleagues working on an organization's shared objectives. Explore the networks by objective and by individual to see what their collaboration looked like in 2014. 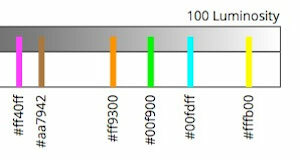 Making visually consistent color scales is hard, and important for making your site accessible to people with color-blindness. This is a tool that people with any level of color vision can use to quickly assess relative perceptual brightness between multiple colors. I worked closely with the designer on our company website. Although our web apps use es6 and React, it made the most sense to keep this site simple, using es5, because it will surely change before browsers natively run es6, and to keep the JS visible for interested learners. As a self-taught developer, code accessibility is a priority. 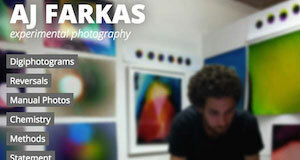 Visit my portfolio of artwork, a responsively designed site that is optimized across devices. 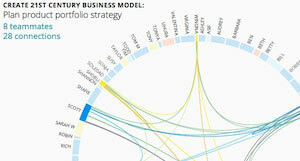 These are data visualization experiments using the D3.js library. Click through for live examples and code.